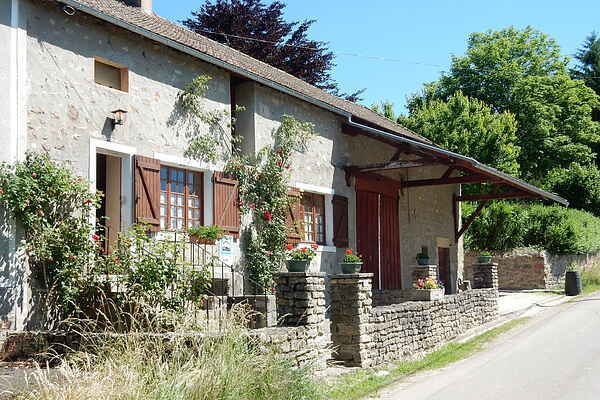 On the border of the departments of Yonne and Nièvre, on the outskirts of the quiet village of Lautreville you'll find this rural holiday home: the perfect base for exploring the Morvan. Things are happening especially at the rear side: a fully fenced garden, rose bushes and shade trees. From the terrace - of course with barbecue - you can easily keep an eye on your children. Restaurants, tennis court, bike rentals and bakery can be found in Quarré-les-Tombes (5km). In the immediate surroundings are lakes such as Lake St. Agnan (15 km) and fast flowing rivers. These are very suitable for fishing or rafting or kayaking. Rentals can be found among others in Saint-Père-sous-Vezelay and Avalon (both 17 km). Try the roads along the castles of Chastellux (7km) and Bazoches (19km). Avalon offers a wide range of supermarkets and shops. Slightly further (21km) lies the picturesque Vézelay. This was once a Celtic castle and later on even one of the four starting points for pilgrims to Santiago de Compostela. Today Vézelay is known for its old streets and its phenomenal Roman basilica. And let's not forget the Vézelay, one of the best wines of Burgundy.